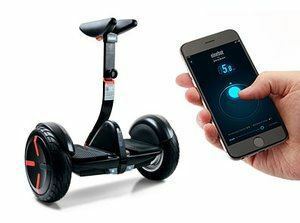 At first glance, the Ninebot by Segway miniPRO looks very similar to those two-wheeled “hoverboards” that became so popular in 2015. It also resembles a mini Segway. Only when one starts to look much closer, does it become quite clear that the miniPRO is quite unlike the hoverboard and the original Segway. If you are the in the market for a hands-free, self-balancing personal transporter then the miniPRO is the product for you. At least, that is what Ninebot and Segway would like us all to believe. With this Segway Minipro review I hope to shed some light on everything this product offers. 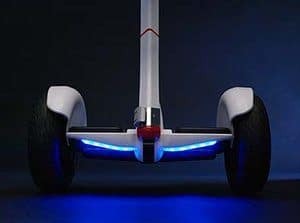 3 How safe is the Ninebot Minipro? 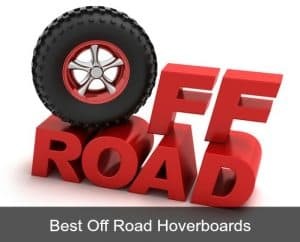 After Segway created the personal transportation market with the PT, many felt the company was a little too quiet while a number of Japanese companies cashed in on the hover board craze. 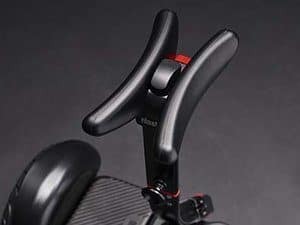 While some were beginning to think that Segway was moving too slow during this time, they finally revealed the miniPRO at the Consumer Electronics Show (CES) earlier this year. It wasn’t long before a journalist wrote that the miniPRO struck him as the lovechild of a Segway and a self-balancing scooter. While not a completely inaccurate description of this device, it certainly has more than enough merit (and technology!) to stand on its own two wheels. The drivetrain is powerful enough to tackle 15-degree inclines with relative ease. The battery is impressive if you consider the top speed of 10 miles per hour. The manufacturer claims a single battery charge (which takes about 4 hours) will take you up to 14 miles, but this largely depends on how you use the transporter, as well as the terrain you traverse. One feature that I am not entirely convinced is as good as the manufacturer claims, are the built-in antitheft measures. I am not sure that I would ever leave my miniPRO unattended in a public spot. Others might find this feature nice to have for those times where they have no other choice. The accompanying phone app allows you to lock your transporter with an antitheft alarm. If anyone tampers with your miniPRO, the alarm will trigger a warning on your phone. The app also gives you the ability to customize the light colors and to operate the device via remote control. It is available on both Android and iOS. NOTE: The transporter will be limited to a maximum speed of 4.3 mph until you complete the New Rider Tutorial on the app. Once you have completed the tutorial, the top speed will increase to 6.2 mph. At this point, you can use the app’s speed limit functionality to increase the top speed up to 10mph. When comparing with the Segway PT, and the various self-balancing scooters on the market, the miniPRO stands out from the crowd with its innovative design. Where you need to steer a self-balancing scooter by carefully pivoting each foot, the miniPRO’s knee control bar makes for a much more controlled maneuvering. Easier than hover boards, and more precise. The manufacturer also went to great lengths to ensure the knee bar can be adjusted to suit all shapes and sizes of riders. To add to the safety of this device, there are customizable LED lights fixed to the bottom. This ensures great visibility at both day and night. The headlights can be adjusted up to five metres, while the taillights can be customized to your liking with more than 16 million colour variations. The taillights also work as turn signal when you lean to one side. The magnesium alloy frame looks durable, and while the device is labeled as lightweight at 28lbs by the manufacturer, I wouldn’t say it is light enough to carry for long distances. It does allow you to pull the transporter behind you with the use of the telescoping carry handle. How safe is the Ninebot Minipro? There have been numerous cases of hoverboards catching fire, and even some explosions. This is largely a result of manufacturers not putting their products through strict testing. This transporter is the very first to have passed the very strict UL 2272 certification from Underwriter Laboratories. 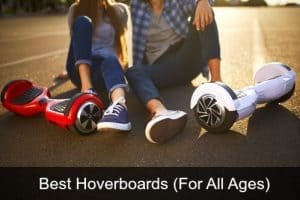 This comprises of some stringent tests to ensure that the battery and electrical components are safe, and won’t explore or catch fire as has been reported with some unregulated hover boards. 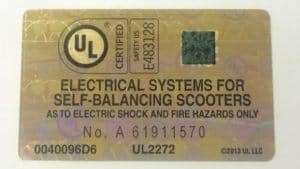 With the unprecedented growth in hover boards, Underwriter Laboratories saw the need for electrical system certification. UL’s mission is to ensure public safety, and with this, in mind, they created the 2272 certification. Their goal is to ensure the safety of drive train systems, as well as the battery and charger systems used in hover boards. I have had a number of readers ask me the difference between the Ninebot Mini and the Ninebot by Segway miniPRO. Even though these two transporters look very similar, there are a number of differences that are important to be aware of. The first thing to mention is that the Segway miniPRO passed the Underwriter Laboratories 2272 fire and electrical safety requirements. The Ninebot Mini does not comply with these standards, and as a result, it cannot be sold anywhere in the United States as it poses serious safety risks to users. The Segway miniPRO has a different battery and electrical system, which is what makes it so much safer than the Ninebot Mini. When it comes to performance, the miniPRO has a 310 wAh battery and the 1600W engine can travel up to 14 miles compared to the mini’s 236 wAh battery and 1400W engine that only covers a 10mile range. I really like how smooth the ride is with the miniPRO. The air inflated 10.5inch wheels can handle uneven sidewalks and small rocks without breaking much of a sweat. No more near-fall-on-your-face-moments when riding over a twig the size of a toothpick. These pneumatic tires also absorb shock much better than the smaller, solid tires found on the average hover board. These tires also provide plenty of traction, which decreases skidding and allows you to do 360-degree turns on the spot. I also really like the fact that my hands are free when moving about with the Segway mini PRO. I will be the first admit that I was skeptical about the stem sitting between my knees. It took me a little longer than the 3 minutes claimed by Segway, but I got the hang of it fairly quickly. A slight lean forward, and it is off to the races at a nippy 10 miles per hour. A shift of your weight in another direction and the miniPRO responds smoothly and quickly to get you where you want to be. I will also say that I felt much more in control on this device than on a lot of the cheaper hover board models. I will even go so far as to say that it is more agile than any hover board I have tried. After a few hours on the device, I was zipping back and forth, making turns on the proverbial dime. I was also impressed with how quickly the miniPRO was able to reach top speed. I like how the design is compact enough to easily fit into the trunk of my car. This unit is about as wide as the shoulders of an average person, so you won’t have to dodge people when gliding along the sidewalk. I am not too sure how practical it really is, but the remote control app on my phone was a novel idea. I had some fun with this feature and managed to scare the daylights out of my neighbor’s cat a few times. 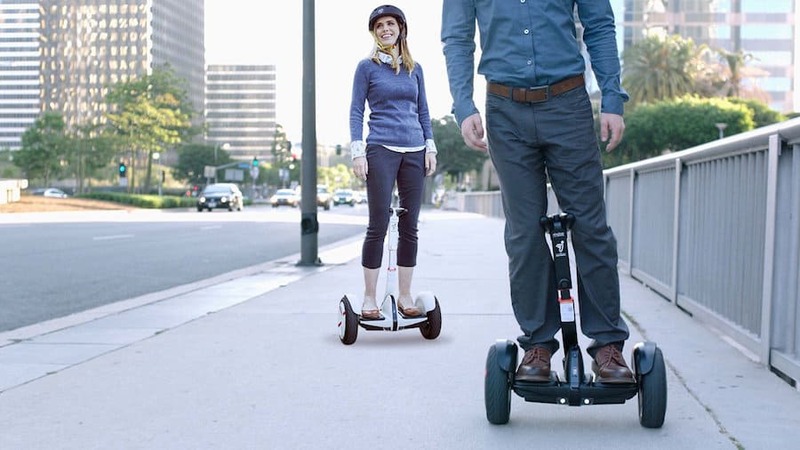 I wish that Ninebot and Segway could find a way to make the miniPRO a few pounds lighter. At 28lbs or 12.8kgs, it is light enough to pick up when putting it in the back of your car. When you need to carry it up an escalator, or across the street, 28lbs don’t feel quite so light anymore. It’s only about 4lbs heavier than the standard hoverboards like the Swagtrons, but those 4lbs do make a difference if you need to carry it any distance. I will give the manufacturers credit, though, they made it possible to pull the miniPRO behind you when crossing a busy intersection, even with the power off. The original Segway PT was a revolutionary product. The Segway mini PRO aims to do the same to a market that has been flooded with an unsafe self-balancing scooter. Is it revolutionary? I wouldn’t go quite that far, but it is a welcome breath of fresh air in this space. I like how easy it is to get started on this device, it took me less than 30mins from opening the box to hitting the sidewalk. I like how much more in control I feel on this personal transporter than on any scooter, and I was surprised by how responsive it was. 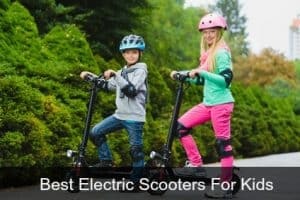 It also beats any scooter hands down when it comes to uneven surfaces or small obstacles. This is largely due to the innovative air-inflated 10.5inch tires which make for a very smooth ride. The miniPRO costs a good deal more than the average self-balancing scooter. I believe the higher price is more than justified, especially if you take into account the UL 2272 certification. This means you don’t have to worry about your transporter catching fire or exploding while you (or heavens forbid, your kids) are zipping around on it. 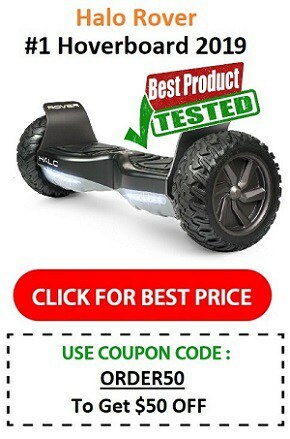 I believe this product lives up to the high Segway standards we have become used to. The durable construction and the ultra-safe components used means you will be enjoying your miniPRO for a long time to come. I would recommend purchasing the Ninebot miniPRO from Amazon.com for best prices and free shipping. Most people will see the Segway Minipro as a step up from hoverboards as it has increased functionality, all terrain capability, app control and much more. The size, weight, and design (especially the kneebar) won’t be for everyone though.